According to Google map, GV Hotel is a few blocks away from the terminal, so I rode on a motorcycle and I just discovered that it's actually a walking distance. Checked in, tidy up and rested for 30 minutes. Then, had my late lunch at the food-court inside the mall in front of GV Hotel. After that, walked on the street going back to the terminal. Rode in an Evergood bus to Dapitan City. Alighted when I saw the city plaza. Travel time is about 40 minutes. Fare is 20 pesos. VISIT DAPITAN CITY PLAZA: Like the other municipal or city parks in the Philippines, a white Jose Rizal monument is standing in the middle of open playground covered with grass. The monument of Dr. Jose P. Rizal in the center of the city plaza. Saint James Church, beside the Dapitan City plaza. VISIT THE CASE REAL: According to the historical marker: "This is the site of the Case Real, office residence and administration building of the Politico - Militar Governor of the district. Here, Jose Rizal lived as an exile from July 17, 1892 to March, 1893 when he was transferred to Talisay, now the Rizal Dapitan Shrine." Like the old houses in Vigan City, Dapitan City also has their own heritage houses. VISIT ANIANO ADASA HERITAGE HOUSE: According to the marker "This building is a symbol of American Architechture with a touch of Spanish Structural Lattice Artwork. The sling windows adhere to Japanese style. The city's richness in cultural heritage is greatly and elaborately displayed in this house." 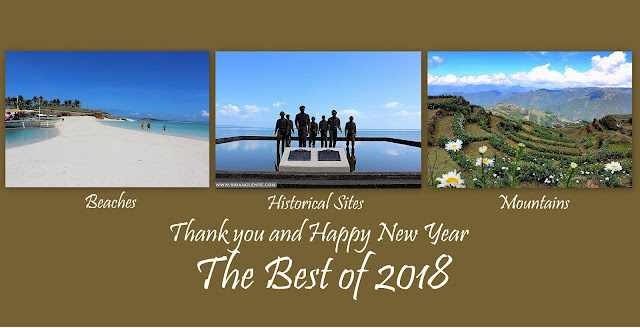 VISIT JOSE RIZAL MUSEUM AT THE RIZAL SHRINE DAPITAN: The Rizal Shrine in Dapitan City was the place where Jose P. Rizal, Philippine National Hero, was exiled by the Spaniards in 1892. It was also the place where he worked as a doctor, sculptor, farmer, teach and many other activities. Rizal purchased this land after winning a lottery in 1892. Later, he together with his mother, sisters and relatives transferred here from Calamba, Laguna. However, on January 15, 1897, all of his property was confiscated by the Spanish authorities. Converted this property into a park in memory of Rizal and was declared as the National Rizal Park in 1940. It was already sunset when I left Rizal Shrine. By the entrance, I rode in a tricycle to the bus terminal bound for Dipolog City terminal, had my dinner, and walked to the hotel. The next day, still using Google Map, I walked on the streets to Dipolog Cathedral and plaza, however, they were both under constructions. Instead, had my breakfast at one of the fast-foods in the city. I stayed at GV Hotel in Dipolog City. Based on online research, GV Hotel is one of the cheapest and budget friendly hotels in Dipolog City. For an overnight stay, I paid 600 pesos; the room has toilet and bath, single bed, cable tv, and an aircon. GV Hotel is situated in the center, thus, it is a walking distance to the Dipolog Integrated Terminal, food establishments, and banks. Cebu Pacific and Philippine Airlines has their regular trips to the airports in Dipolog City. If you're from the nearby provinces, you can ride in a Rural transit bus or UV Express van at any terminal. Travel time are as follows: Ipil, Zamboanga Sibugay to Dipolog is 5.5 hours and Ozamis City, Misamis Occidental to Dipolog is 5.5 hours.